Team Fox’s Jumping for ESP Jump Fly! Steven Farris, manager at Fox’s, has agreed to step up and jump out of a plane in support of our friends at Extra Special People! Steven the “Flying Fox” will jump for ESP on May 30th. ESP holds a special place in our hearts, and does so much to support our community. Steven felt like jumping out of a plane for ESP was a no-brainier. Steven has been a part of the Fox’s team for over 6 years, and is the pizza artist of the group. He has had a lifelong goal of achieving a skydive, and was excited for the opportunity to achieve one of his dreams while supporting ESP and their programs. We hope to see you there, and go ESP and Team Fox Rocks! 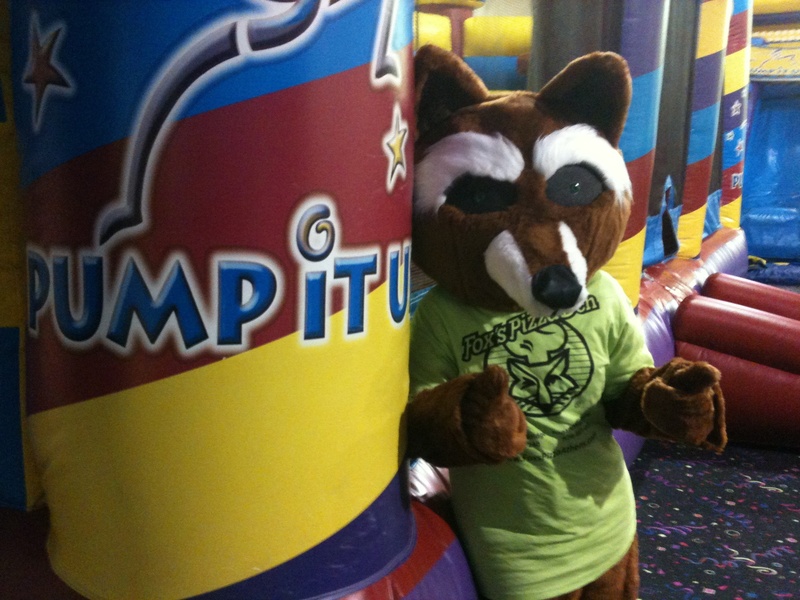 As part of our fundraising efforts for this year’s Jump Fly event, Fox’s has partnered with Pump it Up for a fun open jump night to support ESP! Make plans to be at Pump it Up on Monday, May 18th. The address is 400D Commerce Blvd Athens just off the Atlanta Hwy. Stop by and jump from 6:15pm-7:45pm, and also enjoy a delicious Fox’s dinner! Only $20/child, and each parent eats FREE pizza with a participating child. For more information or to RSVP, give us a call 678-661-0220. Fox’s will also host an ESP Jump Fly percentage night fundraiser on Thursday, May 14th. Simply mention Jump Fly or the Flying Fox when ordering, and a percentage of participating sales benefit ESP! If you aren’t able to attend either of these events, you can still support Team Flying Fox and ESP online by visiting our ESP team page! We hope to see you at these upcoming events, and thanks for your support!